Cut your privacy program development costs in half with the only Operational Templates Solution built from the ground up for the Privacy Office. We use the Operational Templates & Resource module extensively. It has helped the privacy office save plenty of time and resources, especially because they provide support for all operations across the organizations. Ensure effective protocols are in place, monitored, and tested with logs to be used for regulator reporting. 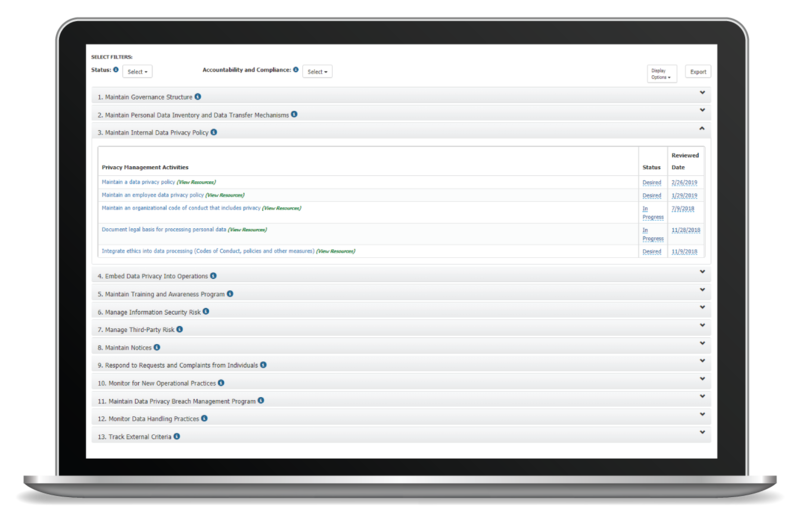 Enhance privacy management with minimal resources with the support and privacy guidance of Nymity’s privacy experts. Build and maintain a governance structure that ensures demonstrable accountability. 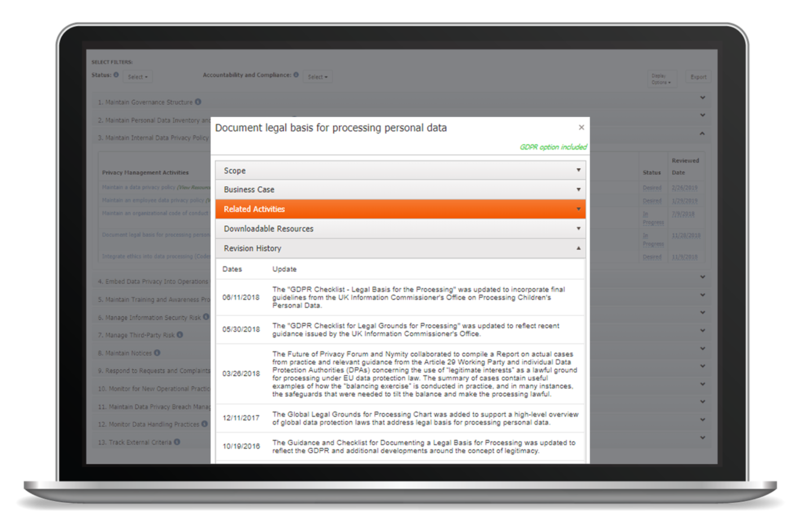 Efficiently produce evidence to show compliance with the large selection of sample policies, procedures, annotations, checklists, guides and more. Stand ready to support the business with operational expertise on topics including e-mail marketing, hiring practices, interactions with work councils, de-identification of personal data, etc. Efficiently download suitable sample policies, procedures, checklists, templates and other resources through built-in suggestions for complementary privacy management activities. 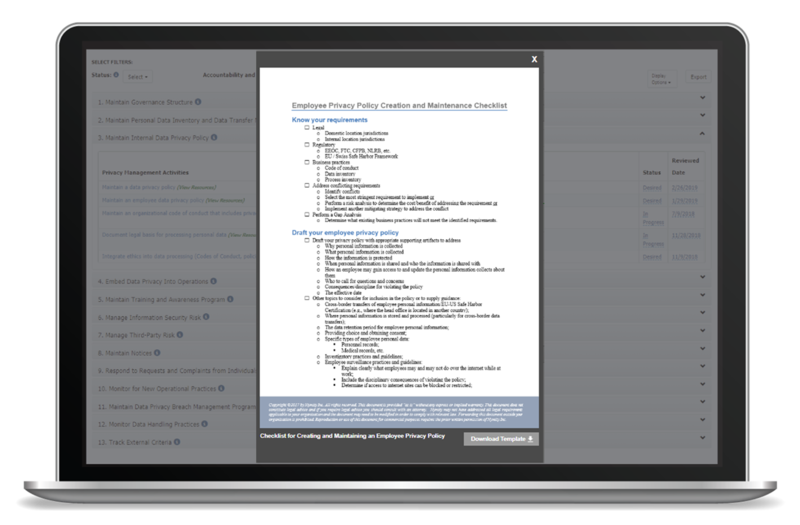 Develop a privacy program with clear guidance from the Nymity Privacy Management Accountability Framework™ of 130+ privacy activities organized into thirteen categories. Implement and maintain efficient data subject request practices that are backed by policies and procedures leveraging best-practices. 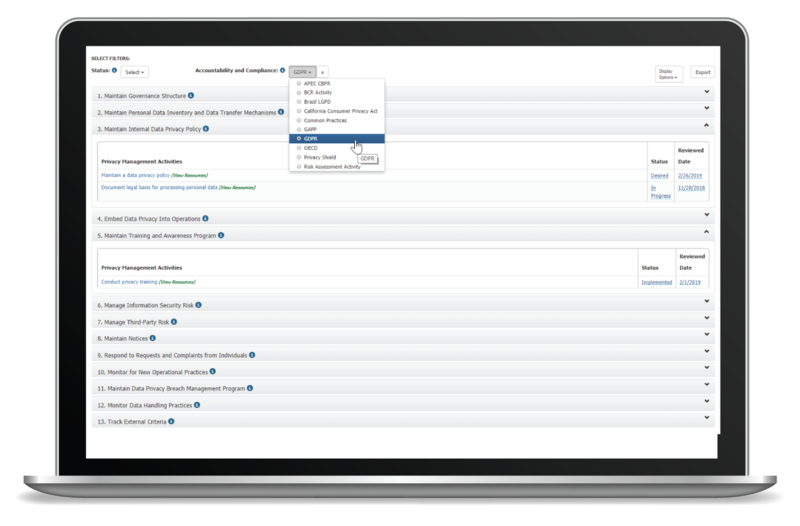 This saves significant time in responding to requests while building a demonstrable and workable DSR compliance process. In the beginning, when we recognized the need for a structured privacy program, we looked at Nymity to help us start from the top down. We are avid users of Operational Templates & Resources. It is our most widely used module. It is essentially used to approach different parts of the business. 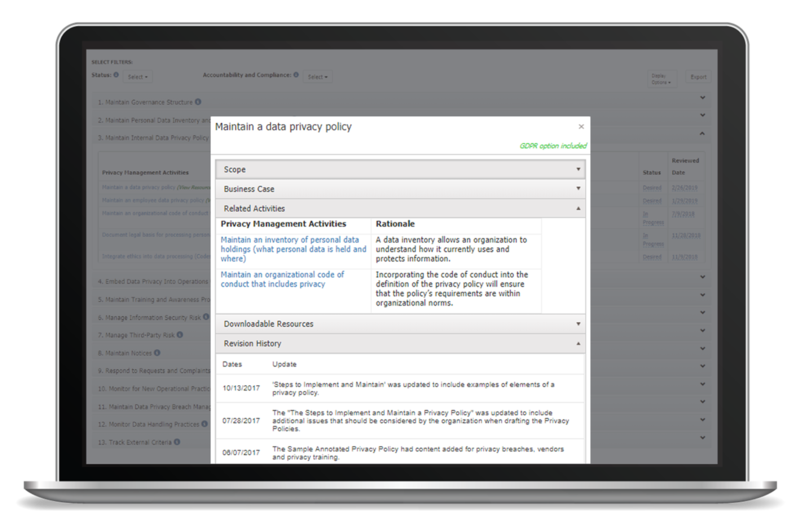 We are able to review our organizational policies and procedures while we add privacy controls to the review. Overall, we are happy with Nymity and we see them as a partner through the maturity of our privacy program. My team is a huge advocate for Nymity. When our company was rethinking putting up security cameras within the company. The Operational Templates and Resources module was used as a reference point and really helped in running the entire process smoothly. This module has helped us more on a case to case scenario rather than on a daily basis.